It's only a matter of weeks before Kate Middleton gives birth to her and Prince William's third child, but what is it like welcoming a baby to the world as a royal? The Royal Family must always follow certain rules and protocols in their daily life - even their trips to the toilet are apparently subject to regulations - and the same goes for having a baby. Firstly, the Queen is always the first to know that the baby has arrived, before any public announcements are made. Let's hope no-one at the hospital sends out a cheeky tweet first! Once the Queen sends her congratulations, the baby news is usually announced to the rest of the world via an easel that is placed outside Buckingham Palace. However, Kate and William broke this rule and posted the news on Twitter after Prince George's birth. How very 21st century. Then, the Town Crier (Tony Appleton) comes out to broadcast the happy news to passers by, whether they want to hear it or not. This tradition goes back to medieval times when most of the public couldn't read or write. In terms of the birth itself, home births are usually the preferred way for royals - although Kate and William chose to have both Prince George and Princess Charlotte at the private Lindo Wing in St Mary's Hospital. However, it has been reported that they will instead go for a home birth this time. This is probably due to the disruption caused by press and the public gathering outside a hospital. Princess Diana chose to have both Harry and William at the same hospital, but the Queen gave birth to all her kids inside Buckingham Palace. 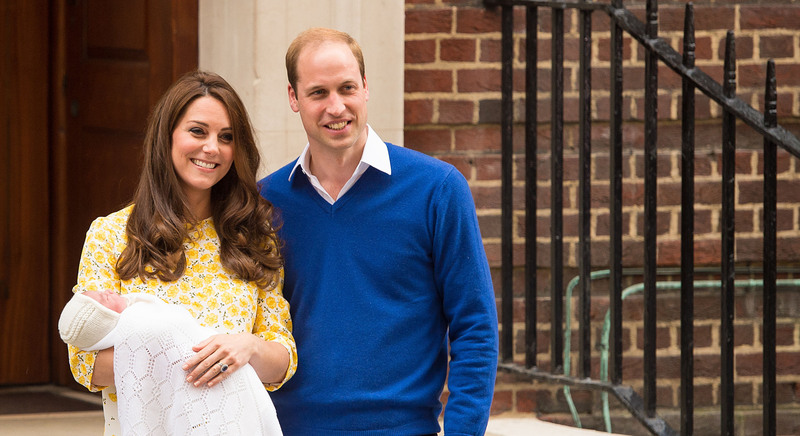 For Prince William, tradition states that Royal fathers aren't allowed in the delivery room. Though, this rule is thought to be less strict today. Plus, midwifes are sworn to secrecy throughout the birth. Kate is expected to give birth to their third child in mid-April, just one month before Prince Harry will marry fiancée Meghan Markle.